Posting hate speeches on social networking sites like Facebook and others has become a habit of many people and in Barak Valley also, this trend has emerged as one of the main reasons of dismantling social harmony in the Barak Valley. This has been viewed by the conscious section of the society here. The negative impact of the social networking sites in creating disharmony among the people of the society has been observed following Kalibarichar’s stone-pelting incident. The total law and order situation in Silchar is still not normal now. Though the district administration and the Police department have made tight security arrangements but despite all such efforts some incidents of group clash have continued to take place till Thursday night. 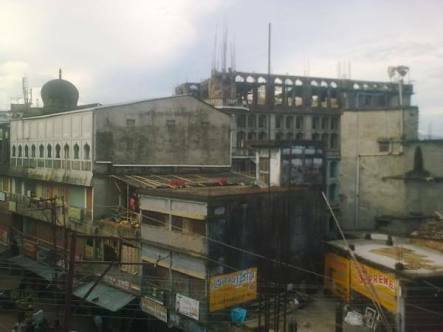 There was a rumour that some miscreant pelted stones in Boro Maszid located in Fatak Bazar area. On Facebook, this rumour spread within a short period and made a group furious. Meanwhile, through WhatsApp and Facebook, a hate video also became viral in which two youths are seen challenging one another using slang language. This kind of video certainly could create violence among the peace-loving people, but public awareness has saved the area from any unruly incident. Later, leaders from the Muslim community like former MLA Ataur Rahman Majharvuian and sitting MLA of Sonai constituency Aminul Haque Laskar made it clear that no stone-pelting incident had happened targeting Boro Maszid. They also stated that there has been no damage of the Maszid. “The peace-loving people of Barak want social harmony. They have neither allowed any attempt to divide the society in the past neither will allow it to happen in the future too,” said a local.